In the 19th and 20th centuries Malabar Headland was used as a rubbish dump and army defensive site. Despite this, it retains tracts of bushland, including several endangered ecological communities. When dumping ceased, the huge fill site, about a square kilometre in area, was used as a rifle range. For safety reasons the public was warned not to venture onto the headland during shooting, indicated by the flying of red flags. When a safety survey of the whole headland found asbestos in many of the old buildings and in the ground, people were advised to keep off at all times. There are ongoing efforts to remove weeds and contaminants, move the rifle range and hand back the land to the state for public access and recreation. The gun batteries established on Boora Point were to defend Sydney from attack by sea. In the 21st century this would be as futile as it was in the 20th. The main threat to Sydney from the sea in the 21st century is climatic, that is: the increasing severity of storms and the rise of the sea due to global warming. Sydney people are also already under threat from the air, that is: the pollution of the air by the burning of fossil fuels in vehicles, factories and power stations. There is strong evidence to suggest that the two threats are linked, that is: the emissions from the burning of fossil fuels are causing global warming through the greenhouse effect. Also these emissions, being mostly absorbed into the oceans, are increasing their temperature and acidity, adding to the loss of life already being experienced from over-fishing. Sydney eastern suburbs residents live in clean air and swim in clean water. Their national parks, reserves and beaches used for recreation are preserved. The quantity and bio-diversity of life in these reserves and the ocean are maintained. Their housing, businesses and vehicles are powered by cheap clean renewable energy. They own the energy source and profit by it, selling the excess power generated. The profits are invested in local organic agriculture and community services. Their well-being and life-styles are sustainable. 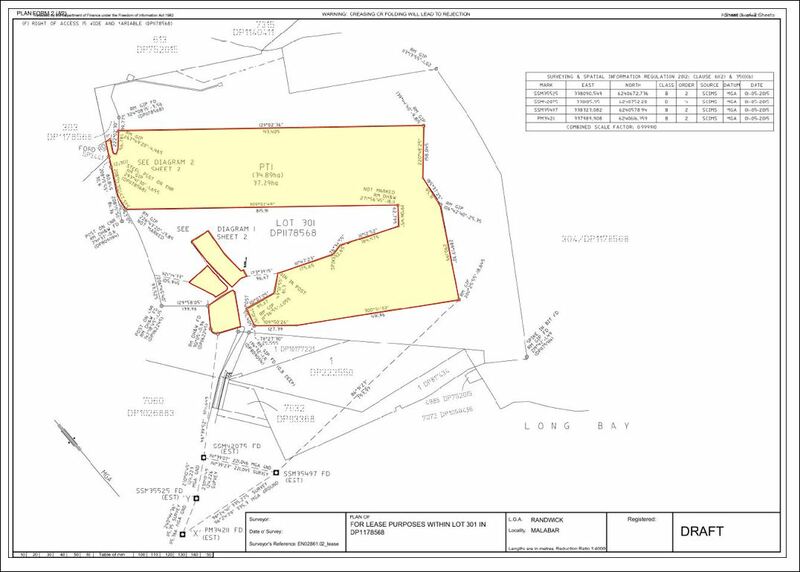 The proposal is for a community owned renewable energy power station on most of lot 301 (see map in appendix 1). Lot 301 contains an enormous fill site, which is currently used as a rifle range, and small areas of natural bush to the north, south – abutting the Malabar Sewerage Treatment Works (MSTW) – and west – abutting the Malabar Headland National Park (MHNP).The Federal Government has transferred the eastern bush (lot 202) to the State to be added to the MHNP, which previously comprised most of the western bush (lot 102). Some smaller bush areas in lot 301 have also been transferred. 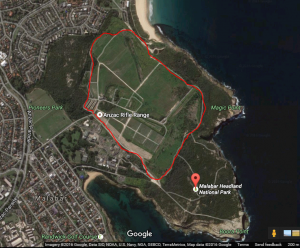 There are plans to move the rifle range off the headland to be established elsewhere, but this may take years. 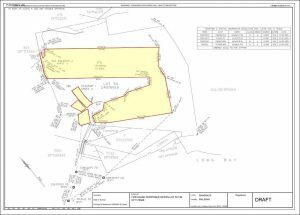 The alternative site must be suitable to international standards and include a similar 900m range. Homebush is under consideration, but this would be costly as it lacks a range of this size. Designs for the Boora Power Station should assume that it would co-exist with the rifle range initially and be expanded onto the range when it is vacated. Solar: any flat rifle range land available could be occupied either by mirrors for a solar thermal facility or panels for solar voltaic. Wind: the high land behind the targets could accommodate one or two large wind turbines. Biofuel: bio-waste, such as used cooking oils collected from restaurants, could help to ensure a more continuous power supply. The feasibility of providing clean wind and solar voltaic power to the eastern suburbs has been assessed in a preliminary feasibility study conducted by the UNSW, who have statistics on the sunshine and wind available and up-to-date knowledge of the technologies required. This shows that both could be feasible from all three points of view – economic, environmental and social, although the idea of large wind turbines in full view met with considerable opposition (50/50). The electricity would be fed into the existing grid, so negotiations would be required with the grid owners, currently Transgrid for transmission and Ausgrid for distribution. The end price to the consumer should be equal to or less than that of ‘dirty’ power, so that many eastern suburbs residents and businesses unable to generate their own power would buy it. Solar thermal using heat storage for steam power generation. Pumped hydro energy storage, where excess power is used to pump sea water into a large reservoir made in the landfill and released back down through a generator when there is a shortfall. The power station would be built and run by a business owned jointly by residents and businesses of the eastern suburbs and Randwick and Waverley (or an amalgamated) City Council. Applications would be made for seed funding from organisations set up for the purpose of supporting renewable energy technology or projects, such as the Clean Energy Finance Corporation. However, no promises will be made of any return to investors for many years, since the cost will be large and the income may be slow to build, especially if the existing major suppliers, such as AGL, compete aggressively. This entry was posted in Governement Energy Policy, Renewable Energy and tagged climate change, Malabar, solar thermal, solar voltaic, wind power. Bookmark the permalink.